In the penicillar capillaries, the tunica media is replaced by layers of reticular cells. These reticular cells form the ellipsoid (Schweigger Seidel sheath). 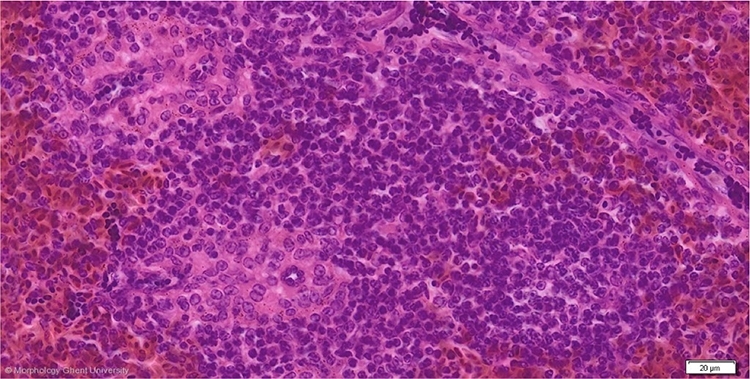 The reticular cells are also referred to as ellipsoid associated reticular cells. The surrounding sheath of mainly B lymphocytes is referred to as peri-ellipsoid white pulp (PEWP) or peri-ellipsoid lymphocyte sheath. At the outer margin of this sheath, a ring of macrophages is located. The PEWP is the functional analogue of the marginal zone in mammals where initiation of humoral immune response takes place.